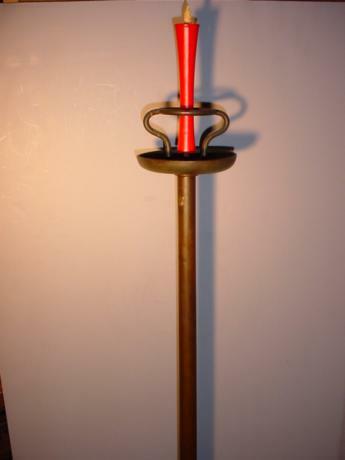 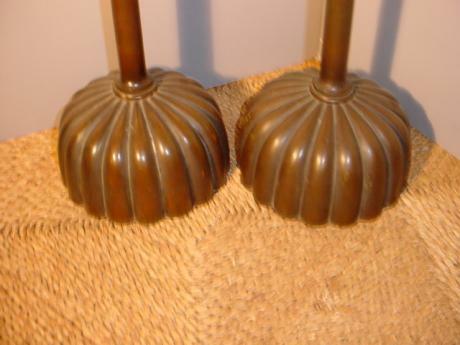 Description: Japanese late 19th century pair of gorgeous bronze candlesticks. 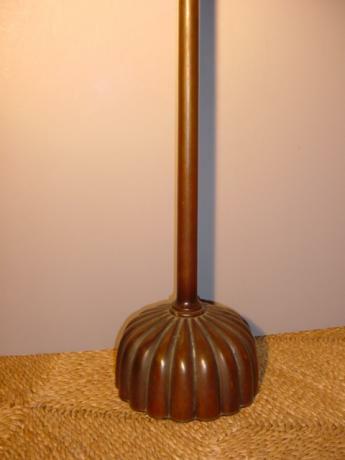 The wide base is done in a chrysanthemum blossom shape with 18 petals. 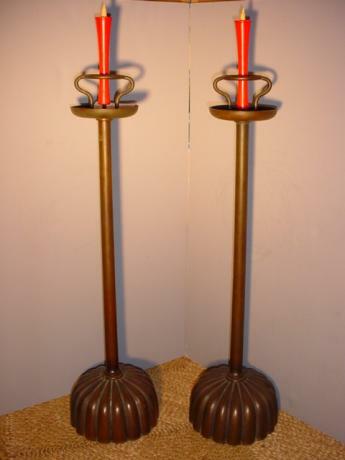 Comes with pair of traditional Japanese candles. 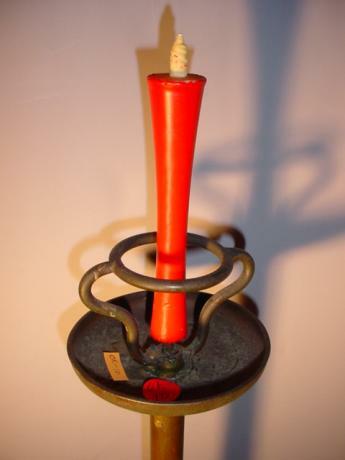 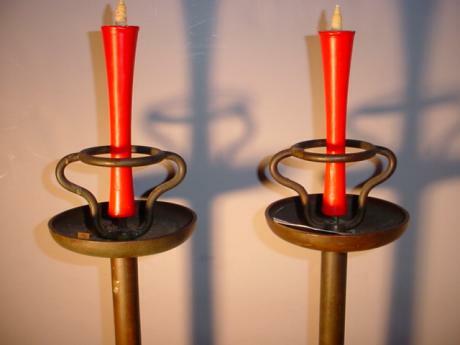 The candlesticks measure 29" tall, 6 3/4" diameter at the base and 4 1/4" diameter at top.